Yeti teamed up with Toray - the company that develops their carbon fiber - on their next offering in high-performance mountain bike apparel. The Yeti TURQ series is a moniker that promises the best quality product available - just like the designation on our TURQ bikes. 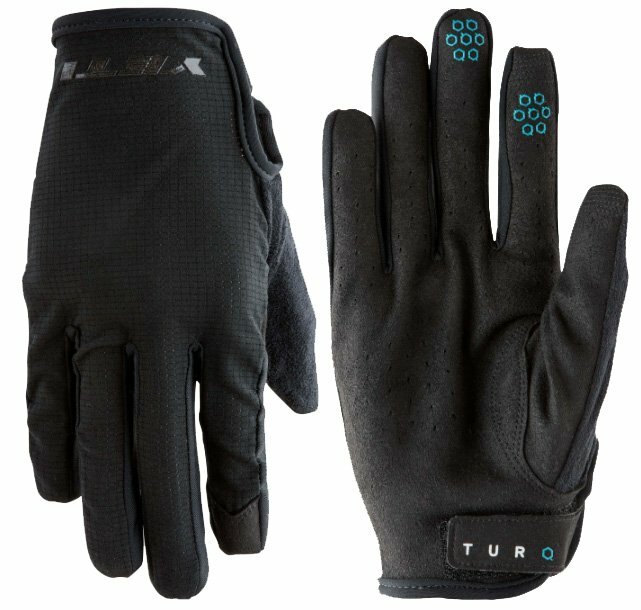 The all-new TURQ Dot Air Gloves will be your go-to option on hot days. Holes small enough to let in air but repel water. Leather palms keep your grip on point. And a data tip finger keeps you in touch.